We do not go to the green woods and crystal waters to rough it, we go to smooth it. We get it rough enough at home; in towns and cities; in shops, offices, stores, banks – anywhere that we may be placed – with the necessity always present of being on time and up to our work; of providing for the dependent ones; of keeping up, catching up, or getting left. So wrote George W. Sears – better known as Nessmuk – in his 1884 book Woodcraft. It has been in print ever since. His words apply today just as they did over hundred years ago. We like to think we are better off than our ancestors in all ways, but clearly we are not. We still immerse ourselves in busyness and then complain we are exhausted and have no time. 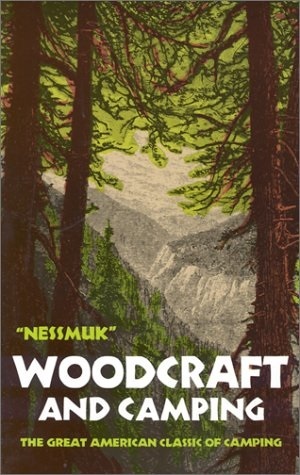 Nessmuk’s book was directed to such average folks – not the “man of millions” – in hopes they would find “at least once a year…a season of rest and relaxation” that they “well deserve.” He mentions those who succumbed to the “temptation to buy this or that bit of indispensable camp-kit.” If only he could see the outdoor industry now. He recommended we “go light; the lighter the better, so that the simplest material for health, comfort and enjoyment.” That’s something, I suppose, we can all consider in all parts of our lives. Free yourself from being busy. Eden awaits. Very current quote from way back in the day!